The rat race has you feeling like it~s just get up, go to work, come home, eat dinner, go to bed - repeat. But wouldn~t it be nice to have beautiful water views all year round? To look out on nature from your kitchen, or dining room table or living room. Sure, but there~s no way to commute and make that happen, right? Well here~s a great home that~s less than a half hour commute to Center City Philadelphia with just those views. Center hall Colonial with 4 bedrooms, 2 and a half updated bathrooms, newer kitchen with Quartz counters, attached 2-car garage. Located in the award-winning Rose Tree-Media School District and the catchment area for Rose Tree Elementary School (a National Blue Ribbon School). New Chimney Liner (2016), New Roof (2014), New HVAC (2017). Only5-minutes to State Street in Media and all that Everybody~s Home Town has to offer ~ Dining Under the Stars, music crawls, Trader Joe~s. etc. Just 15 minutes from Philadelphia International Airport, 5 minutes to the 4.3 mile multi-use trail at Ridley Creek State Park, within 2 hours of New York City, Baltimore and Washington, DC. 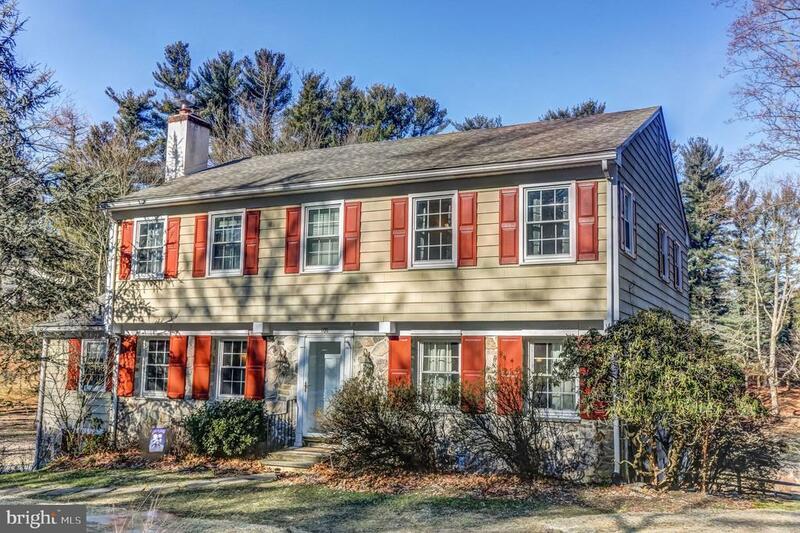 This Upper Providence Colonial Saves The Day! Directions: Route 1 to 252 North (Providence Road). Providence Road splits off to left after Rose Tree Park and 252 becomes Palmers Mill Rd. Property is on the left.